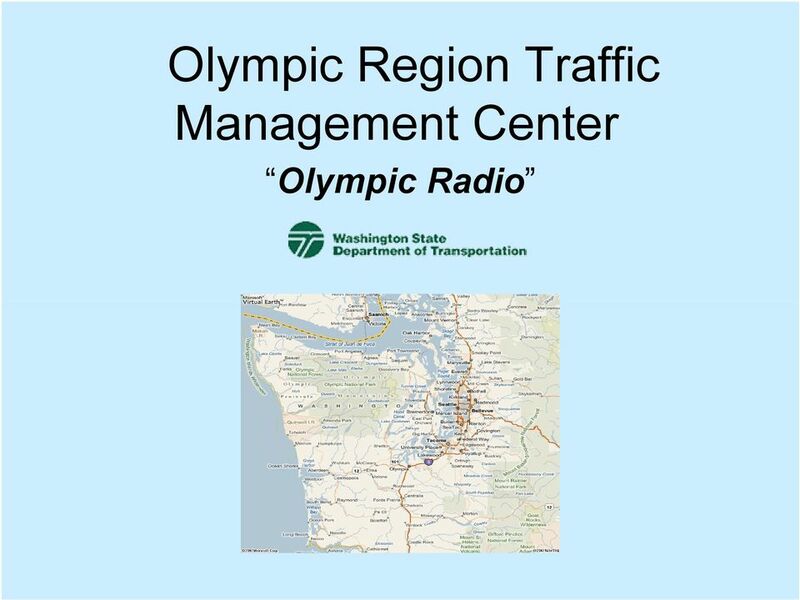 Download "Olympic Region Traffic Management Center. 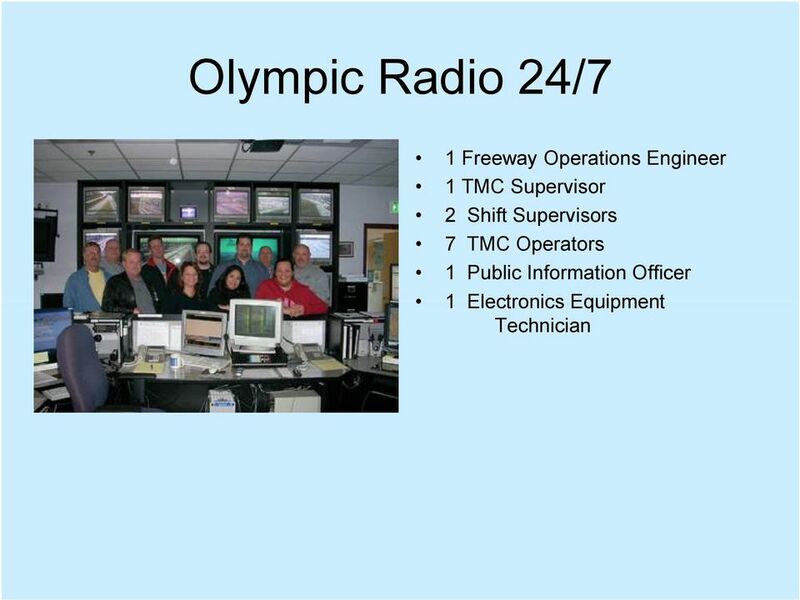 Olympic Radio"
9 Traffic Management TMC operators use a variety of Intelligent Transportation System (ITS) devices and reports to keep abreast of what drivers are doing, what our field staff members are doing, and how the entire freeway system is functioning. 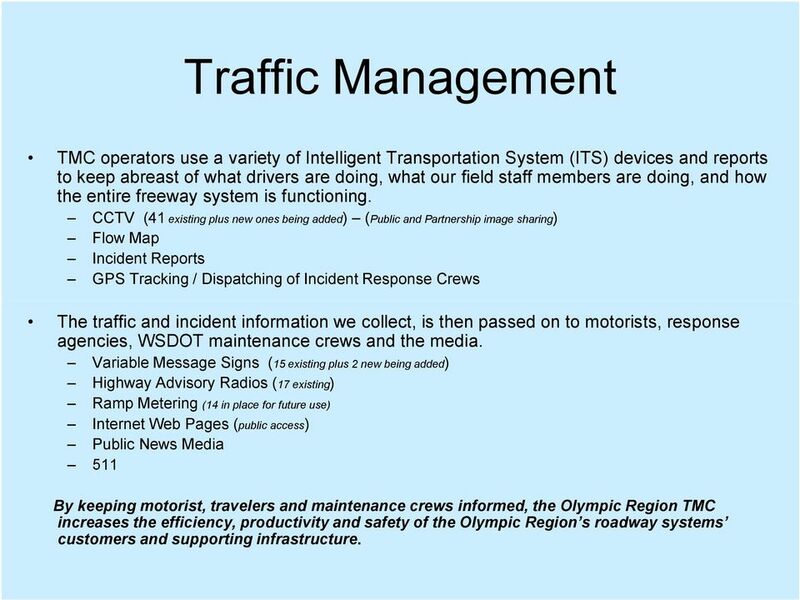 CCTV (41 existing plus new ones being added) (Public and Partnership image sharing) Flow Map Incident Reports GPS Tracking / Dispatching of Incident Response Crews The traffic and incident information we collect, is then passed on to motorists, response agencies, WSDOT maintenance crews and the media. 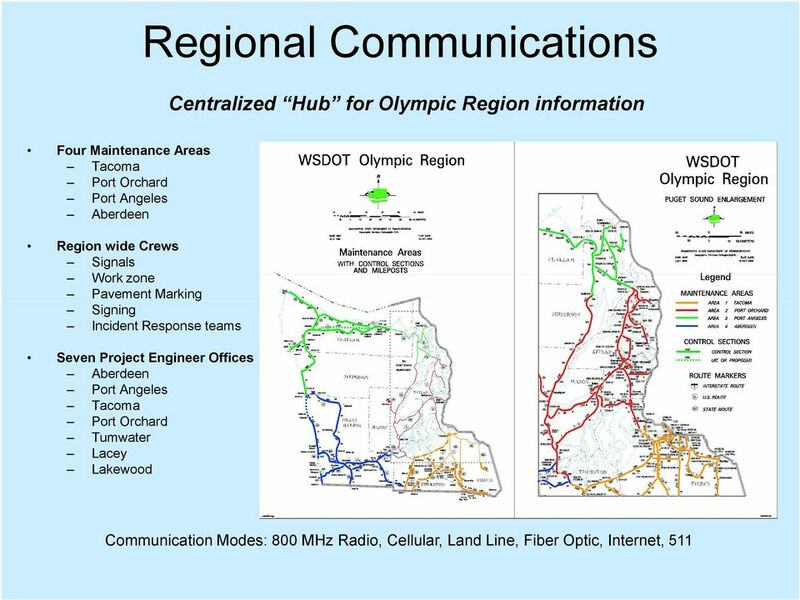 Variable Message Signs (15 existing plus 2 new being added) Highway Advisory Radios (17 existing) Ramp Metering (14 in place for future use) Internet Web Pages (public access) Public News Media 511 By keeping motorist, travelers and maintenance crews informed, the Olympic Region TMC increases the efficiency, productivity and safety of the Olympic Region s roadway systems customers and supporting infrastructure. 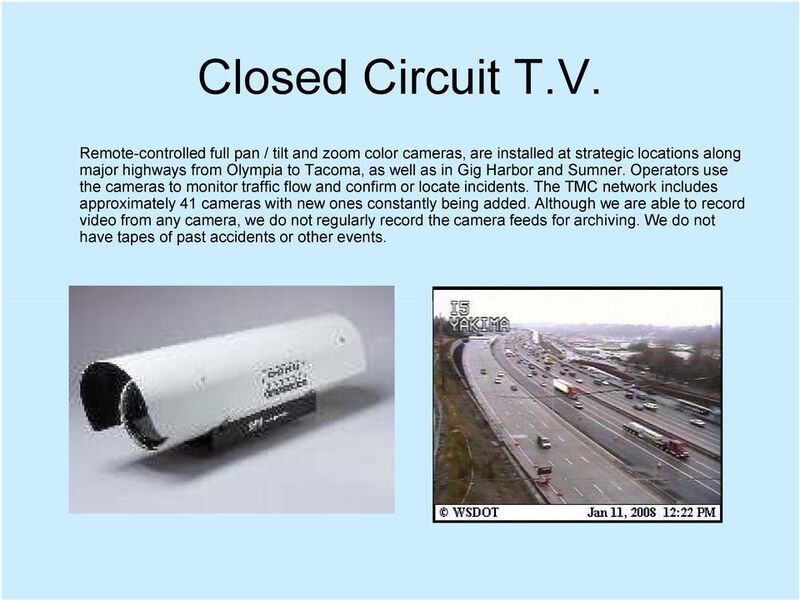 10 Closed Circuit T.V. 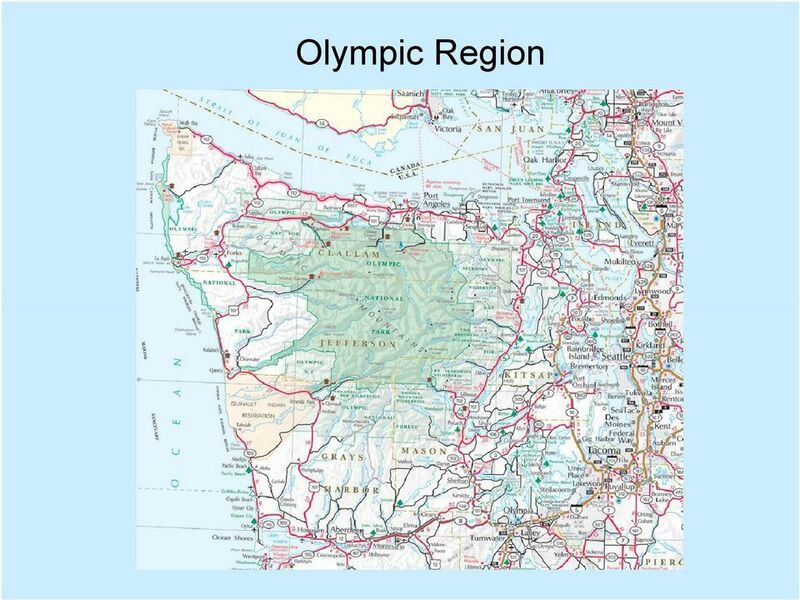 Remote-controlled full pan / tilt and zoom color cameras, are installed at strategic locations along major highways from Olympia to Tacoma, as well as in Gig Harbor and Sumner. 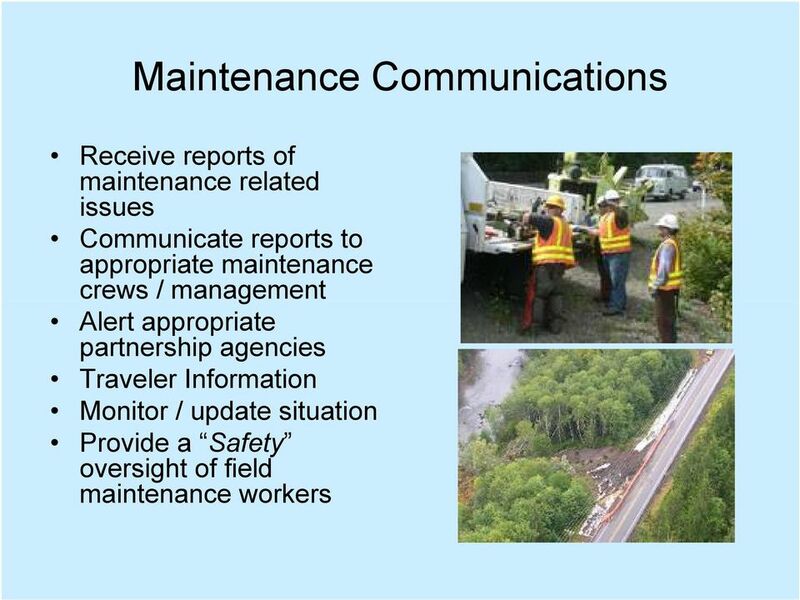 Operators use the cameras to monitor traffic flow and confirm or locate incidents. The TMC network includes approximately 41 cameras with new ones constantly being added. Although we are able to record video from any camera, we do not regularly record the camera feeds for archiving. 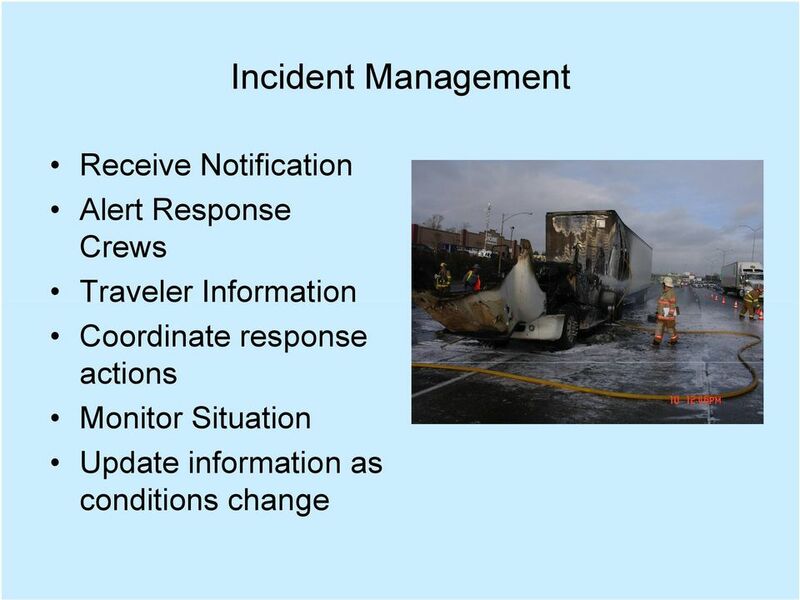 We do not have tapes of past accidents or other events. 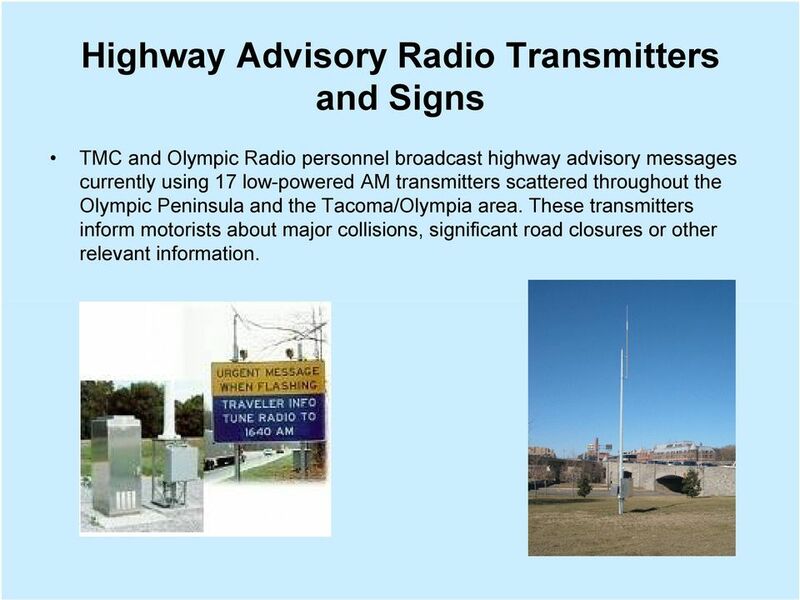 11 Highway Advisory Radio Transmitters and Signs TMC and Olympic Radio personnel broadcast highway advisory messages currently using 17 low-powered AM transmitters scattered throughout the Olympic Peninsula and the Tacoma/Olympia area. These transmitters inform motorists about major collisions, significant road closures or other relevant information. 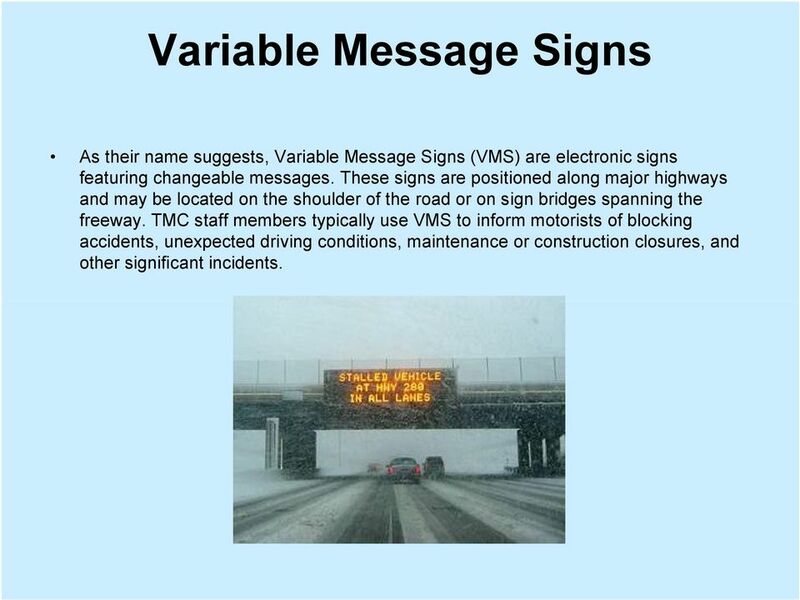 12 Variable Message Signs As their name suggests, Variable Message Signs (VMS) are electronic signs featuring changeable messages. These signs are positioned along major highways and may be located on the shoulder of the road or on sign bridges spanning the freeway. 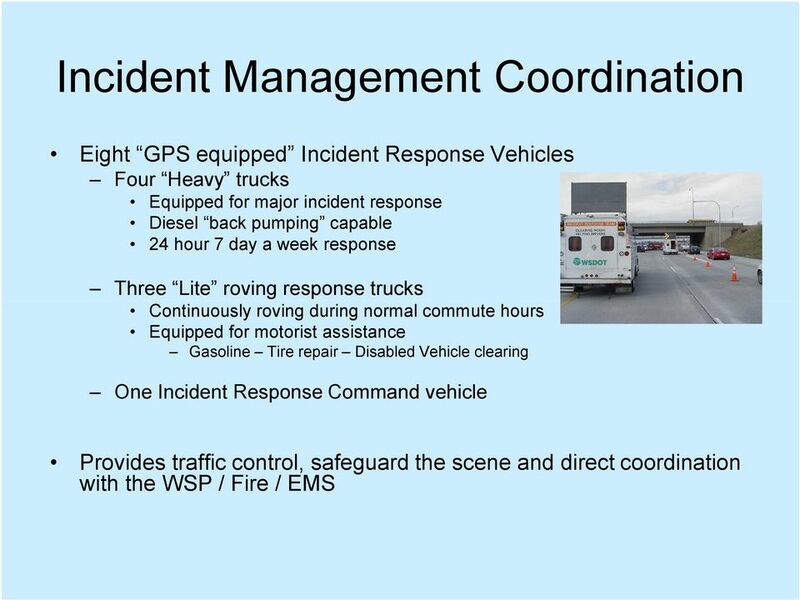 TMC staff members typically use VMS to inform motorists of blocking accidents, unexpected driving conditions, maintenance or construction closures, and other significant incidents. 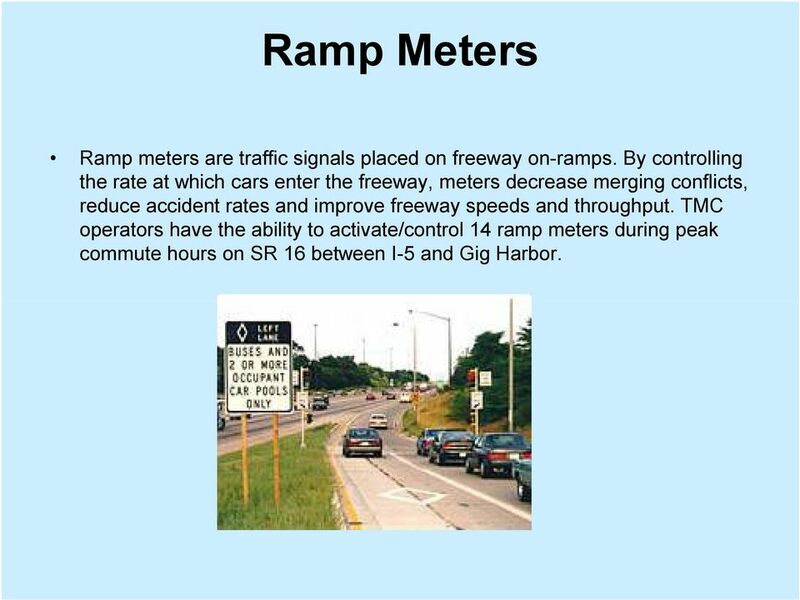 13 Ramp Meters Ramp meters are traffic signals placed on freeway on-ramps. By controlling the rate at which cars enter the freeway, meters decrease merging conflicts, reduce accident rates and improve freeway speeds and throughput. 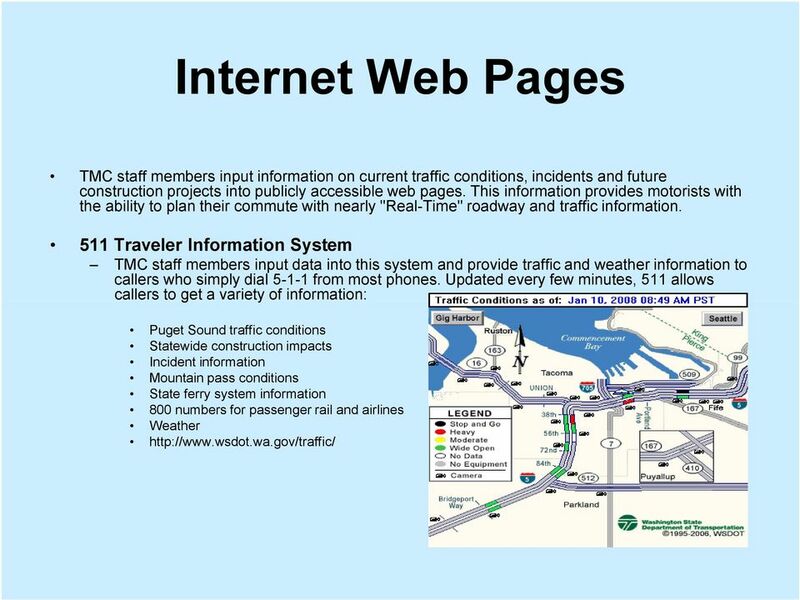 TMC operators have the ability to activate/control 14 ramp meters during peak commute hours on SR 16 between I-5 and Gig Harbor. 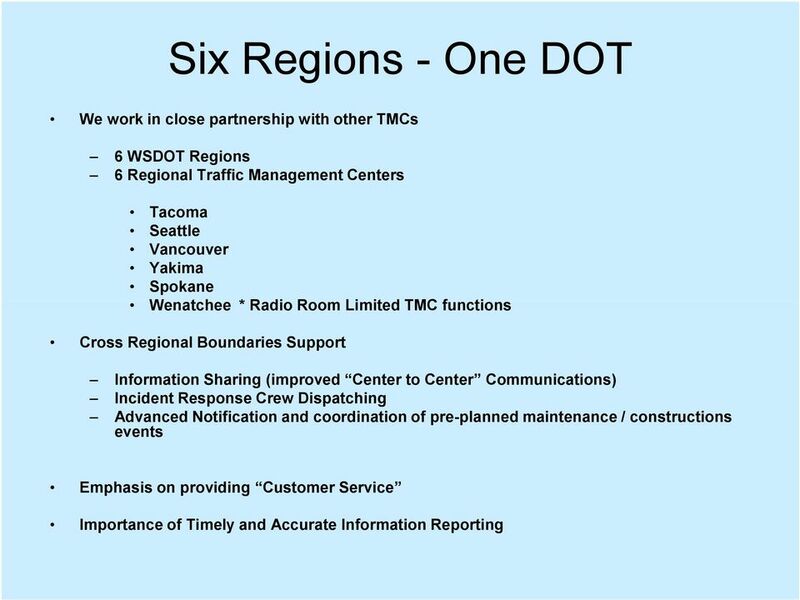 Chapter 6: TRANSPORTATION OPERATIONS CENTER (TOC) STRATEGY 6.1 INTRODUCTION This chapter discusses the Regional Transportation Operations Center (TOC) vision for the Eugene-Springfield metropolitan area. Employment Security Department provided Unemployment Insurance (UI) wage records for individuals employed in Washington. 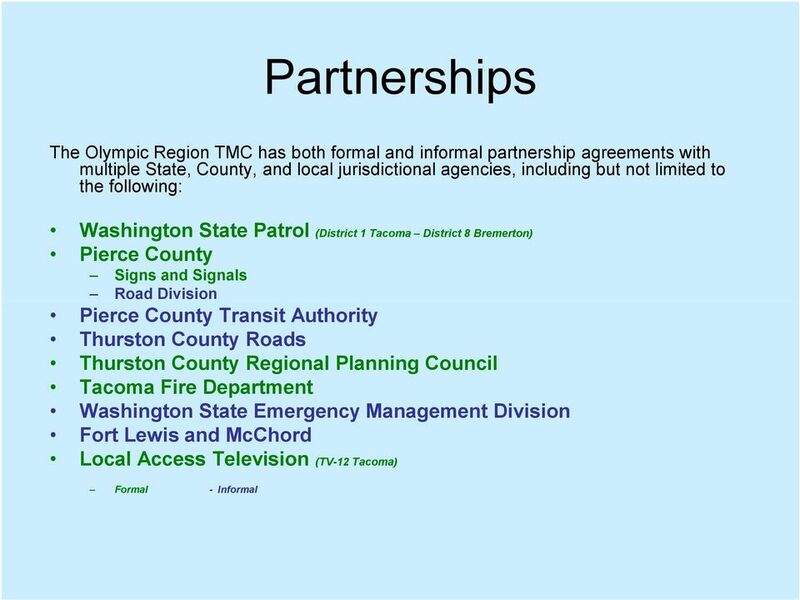 WASHINGTON STATE PUBLIC SAFETY ANSWERING POINTS Listing last revision date: May 17, 2014 Red push pins are Public Safety Answering Points, blue push pins are Washington State Patrol Communication Centers.